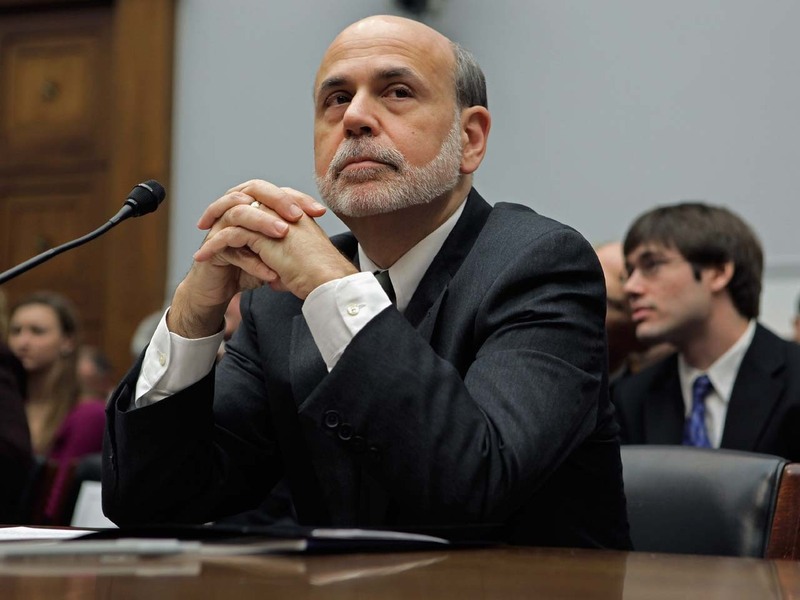 Has Bernanke learned an important lesson? COMMENTARY Federal Reserve Chairman Ben Bernanke seems to have learned an important lesson: Don't promise too much. Bernanke on Wednesday told the House Committee on Financial Services that the central bank's Federal Open Market Committee, which sets monetary policy, does "not anticipate further substantial declines in the unemployment rate over the course of this year. Looking beyond this year, FOMC participants expect the unemployment rate to continue to edge down only slowly toward levels consistent with the committee's statutory mandate." Bernanke added that "participants agreed that strains in global financial markets posed significant downside risks to the economic outlook." There were other cautionary statements as well. That is quite a change from his pronouncement in 2009 that the Fed was seeing "green shoots" in the economy at the time, along with the many other optimistic statements about the prospects for recovery the Fed chief would go on to make. Time and again, the green shoots withered and policy ended up in catch-up mode rather than out in front of the economy, as it ought to be. Policymakers were consistently behind. I don't think either monetary or fiscal policymakers have been aggressive enough throughout the crisis, and I have also worried that policymakers in Congress and at the Fed would withdraw support for the economy too soon and harm the recovery. There's little chance that policy will match the aggressiveness I believe is called for, especially this late in the game. I'm still very worried about Congress turning to budget balancing before the economy is ready to handle it. Premature austerity could damage our recovery prospects. But I'm becoming less concerned that the Fed will withdraw support too soon. It has committed to keeping interest rates low through the end of 2014, an extension of an earlier pledge to maintain them at that level through mid-2013. However, that commitment has wiggle room, and there are voices on the Fed who are calling for interest-rate increases now. But as Bernanke made clear today, the Fed as a whole remains cautious, and monetary policymakers are not ready to conclude that our troubles are over. I think that's exactly the right stance to take -- hope for the best, but prepare for the worst. In the past, the Fed let its hopes interfere with its preparation, but this time does indeed appear to be different.